But the reality is, We all are using Automation in some or the other form. Automation has revolutionized in every sector in Australia. The sentiments described in the Automation Advantage Report says that the Australian economy has a lot to gain with $1 trillion coming from successfully migrating workers to new employment and $1.2 trillion from accelerating the rate of automation. Automation has increased prosperity, productivity, and employment. If the automation falls at the right place, It will add up around 2.2 trillion Australian dollars to the economy by 2030. Web app developments are affected the most by implementing Automation. Developers now in Australia need not now create complex codes, Automation will specifically tailor and create new user experiences. It will help in making a useful customer service tool in eCommerce websites thus be a helping hand for eCommerce website developers. Automation in Australia will make jobs safer with the fall of 11% in workplace injuries, 62% of low-skilled workers will experience satisfaction and, wages for non-automated work are 20% higher than for automatable work. 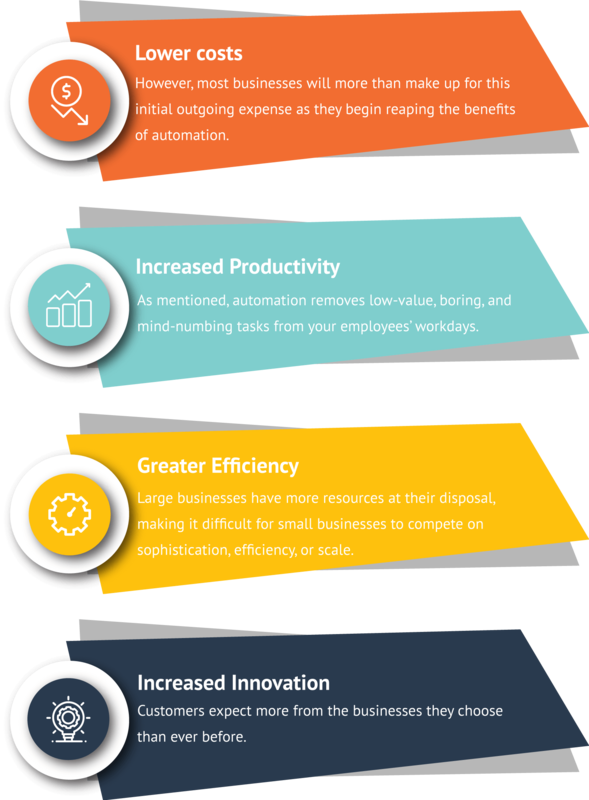 Automation has changed the way your business operates. By almost eliminating inefficiencies and improving productivity, it is advisable for every business in Australia to explore this path. Embrace automation with an eye on boosting profitability.